ZomBlog - Zombie Science from the Zombie Institute for Theoretical Studies: The Walking Bred? I’m sure many of you are fans of the Walking Dead¸ whether in the medium of a comic book, novel, computer game or TV series – it’s truly impossible to avoid… and why would you want to? 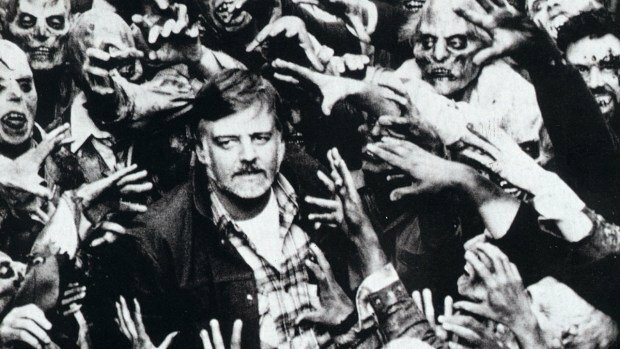 In any form it’s become one of my favourite Zombie worlds since George Romero gave birth to the modern version. Who wants ice cream? Daddy's buying ice cream! How is the disease being transmitted? Whether their claim that everyone has the disease, but not everyone has shown symptoms, is really possible? Why won't you just love me? Whether intentional or not, Walking Dead makes the clever decision of not explicitly telling us what is causing the disease, making it more fun to theorise on. In the TV series even a CDC disease specialist whose been studying the outbreak for months hasn’t been able to figure out the causative agent. Animal, vegetable, mineral ... wait ... what was the question? The disease seems to spread through saliva. People contract it after being bitten by infected people. This is much like Rabies. A Rabies infected animal has the virus in its nerves and saliva, and can transmit it to a human through biting. In rarer cases, the animal can spread the virus when its saliva comes in contact with a person's mucous membranes (moist skin surfaces, like the mouth or inner eyelids), or broken skin such as a cut, scratch, bruise or open wound. 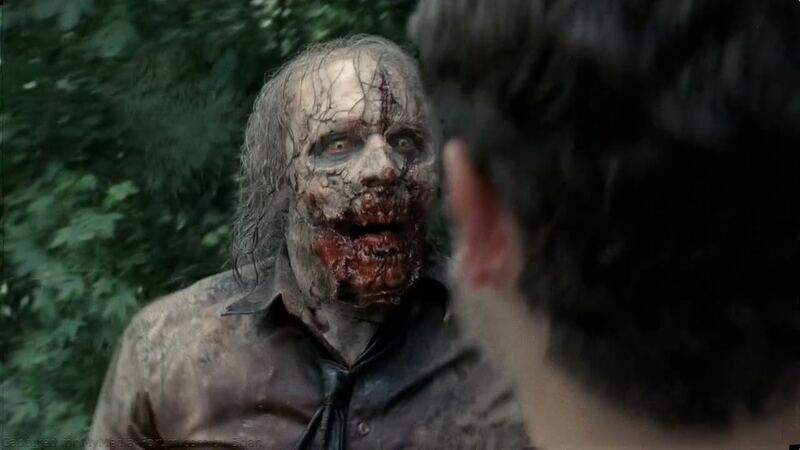 Rabies has never been found in blood, perhaps it’s the same with the Walking Dead Zombie disease. This would explain why, despite the characters flip-flopping between being careful to avoid contact with Zombie blood and getting splashed on like a kid at Sea World, they don’t get the illness. I told you, this episode we stay clean of Walker bits, next season we'll be like kids in a fountain. Visualise the fountain with me Rick. Visualise. How can everyone be infected but not turn? An interesting comparison is latent tuberculosis infection. Tuberculosis is caused by bacteria called Mycobacterium tuberculosis. Some people who are infected by it do not develop the active illness. It simply remains inactive and stays that way in the majority of cases – this is known as latent tuberculosis infection. For a small percentage of people it can eventually become active for a variety of reasons; if their immune system is damaged or compromised, if they become malnourished, or simply when they become older. So our Walking Dead characters may have latent Zombieism infection. A major biological event, such as a severe trauma, or being near death, may be what is activating it. We’ve managed to answer both of our questions today. How is the Walking Dead Zombie disease being spread? It could be like Rabies, in the saliva of the infected Walkers. This would explain why getting covered in blood and guts doesn’t turn anyone. But realistically the characters should be equally afraid of being licked by a Walker as being bitten by one. Finally, we discovered that it is possible for us humans to be infected by a disease that lies inactive, waiting for certain conditions to get it going. A terrifying thought, I’ll not sleep tonight! I do hope you enjoyed this entry, and if any of you out there want to know anything about the real science behind Zombies, do send your questions to info@zombiescience.co.uk, post them in our Book of Faces (www.facebook.com/zombiescience) or get in touch on our website www.zombiescience.co.uk. Want to know whether cutting off a limb after being bitten would prevent you becoming a Zombie? Or would a pregnant woman who was bitten give birth to a Zombie Baby? Read other ZomBlog's to find out!